Brett E. Halperin, Esq. 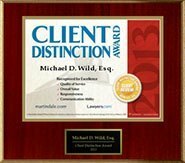 is an associate with the law firm of Wild Felice & Partners located in Plantation, Florida. He concentrates his practice in the areas of estate planning, estate and trust administration, business succession planning, and asset protection. Brett was admitted to the Florida Bar in 2014. Prior to obtaining his law degree from the University of Florida – Levin College of Law, Brett also earned his B.A. in Economics from the University of Florida. 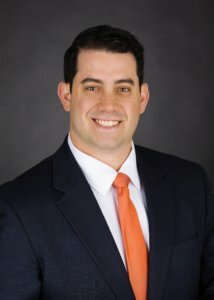 While at the University of Florida, Brett was a member of the University of Florida Supreme Court, a member of the Entertainment and Sports Law Society, logged over 100 Pro-Bono hours with the Volunteer Income Tax Assistance program, and was tapped into Florida Blue Key, Florida’s oldest and most prestigious leadership honorary in the state of Florida. Since graduating Law School, Brett has clerked in the Complex Business Litigation Division of Miami-Dade, worked as a litigator for a large Florida Law Firm, and has been in-house counsel for a large group of corporations. He has experience in estate planning, asset protection, litigation and business formation. Brett takes an active involvement in his community and strives to make a difference for his clients as well as those less fortunate.